Is Ted Neeley your personal Jesus? Stage • Think you know the Son of God? 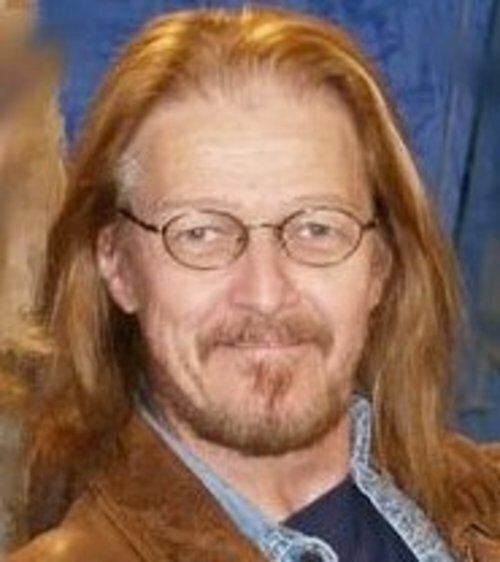 Actor Ted Neeley has embodied the character for 40 years. When you land the role of the century to play the founder of the world's largest religious denomination, you'd be a fool to give it up. At age 68, at least 30 years older than most scholars believe the historical Jesus was at his death, Ted Neeley still has the spirit of the role. 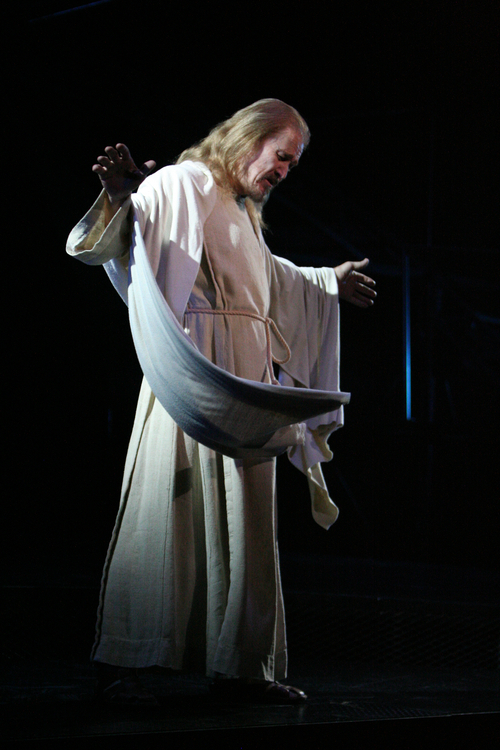 The Texas native first played the title role in "Jesus Christ Superstar" in 1971, in the Broadway production directed by Tom O'Horgan. Then he scored the lead role for the 1973 film version directed by Norman Jewison. 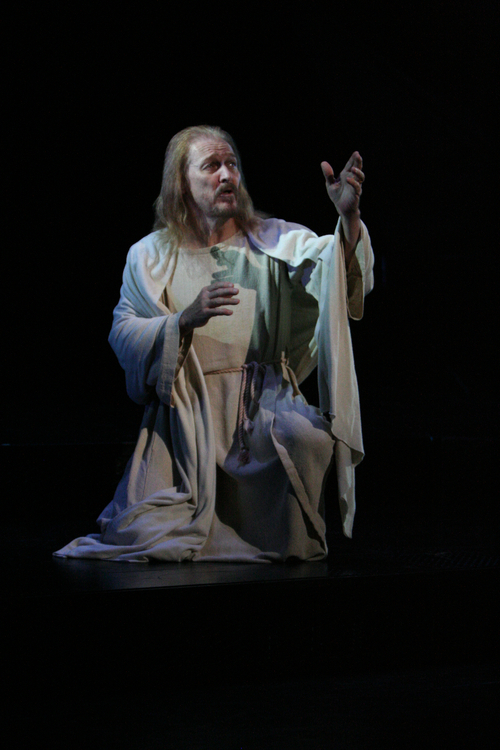 The need for steady work aside, Neeley said there are more enduring reasons he continues to play Jesus. For starters, it's an ever-changing job. Once considered the height of blasphemy among the faithful, the musical by Tim Rice and Andrew Lloyd Webber now is considered a Sunday-school staple in some churches. The role changes depending on the cast and production. Finally, as an actor, the role has led to intense encounters with people who have their own ideas of what Jesus did, meant or said. "I'm just a rock 'n' roll drummer from Texas who thought he could act and had the ability to hit all the high notes," Neeley said during a phone interview from Park City, where he stars in Egyptian Theatre's production of the musical, which opens Thursday, Dec. 15, for more than two weeks. "I'm so lucky to have this role. I'm a conduit. I'm not interested in foisting beliefs on people, but I am interested in conversation so that perhaps we can find the answers together." What we can we learn about Jesus from you, the man who's made portraying him something of a life calling? Perseverance. When you're dealing with one of the most famous figures in the world, the last thing you want to do is step over anyone else's religious beliefs. It's not a work that deals with religion so much as the last seven days of the man called Jesus, as seen through the eyes of his contemporaries. Were you raised in a religious household? It would be impossible to grow up in Ranger, Texas, without religion. I was in church before I was in school; raised Southern Baptist. In what ways are you religious or spiritual today? If I'd started acting this role as an atheist, I would have certainly changed my views by now based on people's responses to the production. I've been able to talk to people all over the world, thanks to this piece. I've heard from lots of people that they found their spirituality through watching the film or seeing a live production. We all have that spiritual connection. We're all connected as human beings on one planet. I'm preaching again. Sorry 'bout that. Do you still run into people who tell you your acting work is blasphemous? It's very, very rare. But those whom I do come into contact with are so adamant. I love those conversations. They're challenging to me, and I always come away with something I can add to the performance that night. I don't want to name the date or city, but the most aggressive experience was as close to a life threat I've ever had. It happened when I walked into a city theater for a sound check. A group of people was marching and carrying signs. They were very aggressive. The guys on the crew stopped working and surrounded me. It took a while for things to calm down. I asked them if they'd seen the show live. "Is there one among you courageous enough to see it for one night, and after the show sit and talk to me?" I asked them. They discussed it, then a spokesperson said they'd accept the offer. They all sat in the balcony that night, and at show's end we discussed it, and they changed their mind. That, to me, is miraculous. It proves that if challenged, by one person or many, we can communicate pretty much anything between people. After all these years, what's your favorite scene? Where do you believe the musical's deepest meaning resides? Without question, the last supper leading up to the confrontation between Jesus and the Apostles. It's the essence of seeing the possibility of Jesus Christ doubting himself. Who does he turn toward at his darkest hour? His father, the same person a lot of young people turn to when they have questions. I've spent endless hours talking to clergy about how it should be rendered. Many Muslims are notoriously sensitive about portrayals of the Prophet Muhammad. Would you ever take up the offer to portray him? I'd take up the challenge to portray anyone, as long as it's worthwhile and historically based. I love controversy, not in the sense of raising Cain, but in the sense of something that's worthy of inviting discussion. That's what theater was originally about. It's not just about shaking a tailfeather and making a few dollars. Do people still remark on how much you look like Jesus? Oh, yeah. They'll say things like, "Jesus is in the building!" What's sweetest is how some people will embrace me after the show, then say, "You'll always be my personal Jesus." Ted Neeley, considered the definitive interpreter of the title role in Andrew Lloyd Webber's rock musical, stars. Info • $40. Call 435-649-9371 or visit http://www.egyptiantheatrecompany.org for more information.